I have a very challenging figure as I am only 4 foot 10″ and plus sized. Sheila listened to the things I liked in other dresses and found me the perfect dress first try (of course I tried on five more that also looked and felt amazing). I tried 3 other Bridal shops and none compared to the level of excellence Sheila provides. If you go to Sheila’s Bridal you will find the dress of your dreams at a price that is incredible given the quality of the products and friendly service she offers. I could not have had a better experience. Thank you Sheila!!!!!! Next post Worth the drive!!!! 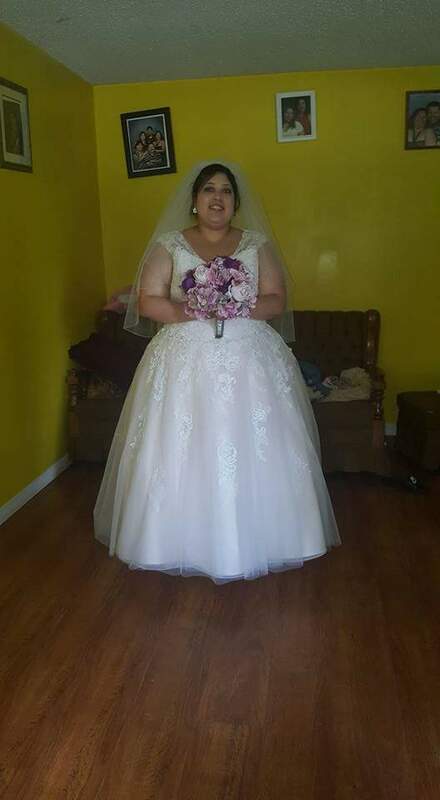 All Plus-size brides need to try! Sheila's Bridal Boutique is conveniently located in Hamilton, ON.